Fruity sangria is a beautiful and delicious springtime cocktail that also serves as a great centerpiece! 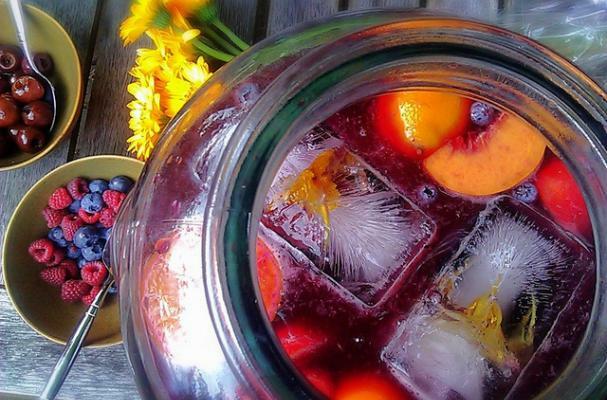 This sangria recipe is kicked up a notch with the addition of brandy and triple sec. Use a combination of your favorite fruits or stick to the ones we've used here. For optimal flavor, make ahead (without the ice) and refrigerate overnight. This allows the fruit and alcohol flavors to meld.